It's time for August's IWSG post. 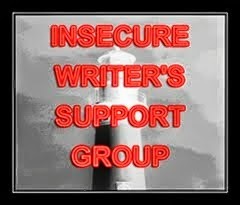 The Insecure Writer's Support Group is an online group meant to foster connections between writers. We post our writerly insecurities every first Wednesday of the month. Go here to check out the group! I saw on Twitter on Monday that it's #HistoricalFictionWeek on Goodreads. 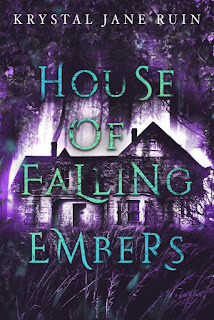 You may have guessed if you've been here before/ have taken a cursory gander around that historical fiction is my genre. That is, most of what I read falls into historical fiction (straight historical, historical fantasy, historical romance) and I tend to write mostly in that realm as well. Is there enough research for me to delve into? And how much of this research am I willing to stick into the story? Am I getting this right? Is that accurate enough? But I don't know how they would have done this/that/the other in that time period! I think it was Diana Gabaldon who said that stealing things from the historical record was a good way to disguise any lapses of imagination. So. What was the last historical novel you read? Have you ever tried writing one? And where would you like to visit in the past, if you had a time machine? This is understandable for sure. Most of my forays into historical land have been for a short period of time and in confined places, like fields and castles and a few places in a tiny fictional village. More vampire backstory" than historically accurate. I have done some time hopping, but I only did enough research to keep myself from looking like a complete idiot. Historical fiction definitely has unique challenges! I think you need to have a broad but shallow baseline of history and then research the heck out of it. I can't do super, super detailed historical fiction. It would drive me insane forcing myself to be that accurate. I've dabbled in a bit of historical fiction but it's not a genre I do often. I know it takes a lot of research (reading books, watching movies/documentaries) and even some guess work on what people would do in that time period. Well, it's Historical Fiction Week on *Goodreads* at least. Good enough for me! I feel like I've actually calmed down slightly on the research aspect and that might be because of this particular project, which isn't *all* historical. Ah! Maybe that's why I had boosted sales this week. Good to know. Get workin' on that time machine! I think it might be really funny to go back in time and find that everything we know about a certain time or place is wrong. The story has to come first, the historical aspects a very close second. I'm working on one now, set in rural Scotland in about 1875. I've written other books that are set among events in recent history (Madoff, Vietnam War), so I like using historical references as setting, but this will be my first true historical fiction. I'm doing LOTS of research because it's critical to the story. I plan on finding a few people with some knowledge of the period to read it once it's drafted to get it as accurate as possible. We are, of course, allowed to take some creative license with the history, but if there is a glaring inaccuracy that takes away from the story, I am hoping to catch it before I put the book out there! My novella was 1799-1800, Barbados and England, and the research was a bit tough because there isn't a whole lot written on slaves on Barbadian plantations. Luckily, though, there are lots of things written about that time for England! Sometimes I don't know where I fall on the historical research skill. I often feel like I don't do as much as other writers I know profess to. I LOVE Outlander. I read all eight books in about six or seven months. I don't normally read historicals--unless it's by a friend. Alyssa Alexander writes a series called Spies in the Ton that keeps the flavor of Regencies with suspense. The last one I read was In Bed With A Spy. I like Regency-set stories, too. They're pretty common in the historical romance realm. I want to write historical fiction so badly and I am hoping to be able to do just that next year. I was compelled to write a few nonfiction books first. Historical fiction has always been my favorite to read. I don't have a favorite time period but I love early America stories and very old International stories. My last novel was historical - set in medieval England during the black plague. I did tons of research in preparation. I was glad I did because readers will nit pick you to death over the little things. My current WIP is set in ancient Babylon and once again I researched heavily before beginning. Ancient Babylon! Wow! The further back you go, the harder it is to find sources, isn't it? That's so cool, though! Well, I guess that is the good thing about writing in an era that's a long ways back--more leeway for interpretation.